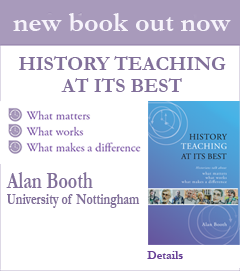 In this section we have grouped clips of historians discussing a wide range of issues regarding what drives their teaching and the conditions in which effective history teaching can thrive (and be thwarted). We have divided the section into three sub-sections which can be accessed via the play-list buttons in the menu on the right. Viewers are reminded, however, that just as conversation (and life) is rarely so neatly packaged, many clips overlap and complement each other in ways that go beyond easy compartmentalisation. In short, as in teaching, it always pays to explore and from this page you can do so in your own way.